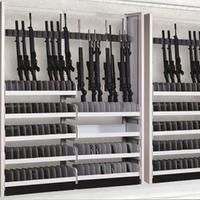 Mobile bulk firearm racking storage | Montel Inc.
Condensing storage into one organized location makes weapons and gear retrieval faster and inventory easier to control. 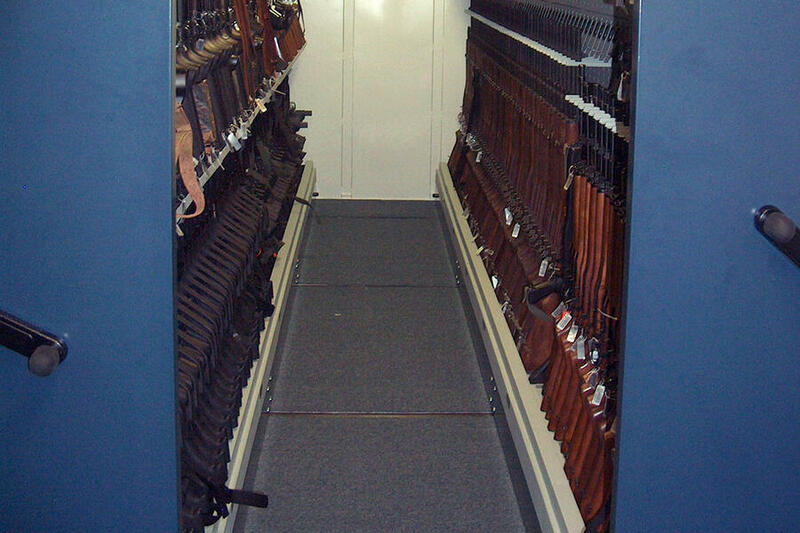 By mounting gun racks on our high-density mobile systems, you save space as well as double your storage capacity. 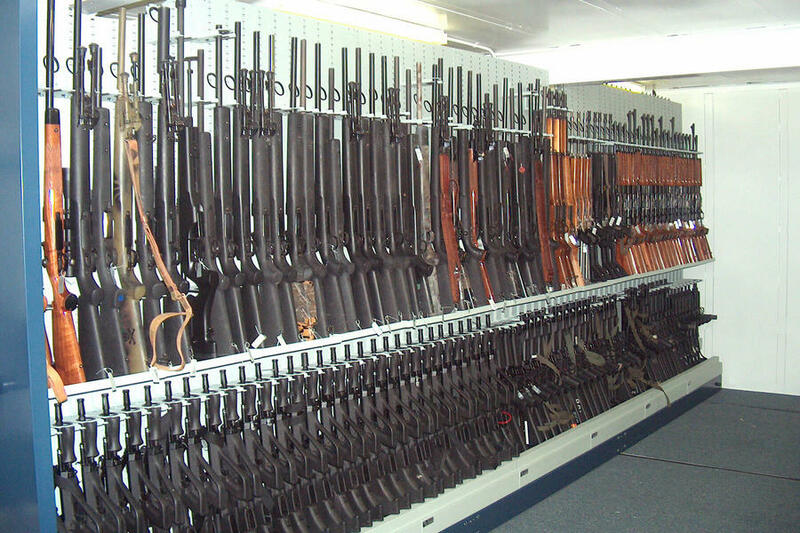 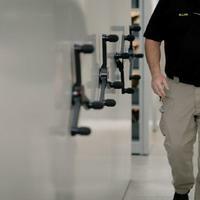 Combining security and mobility, our mobile weapon racking solutions are ideal for facilities low on floor space and looking to increase their storage capacity without renovating or moving storage to a new location. 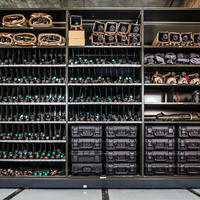 With such compact high-density mobile systems, construction costs are down, material loss is prevented and building maintenance and upkeep costs are lower. 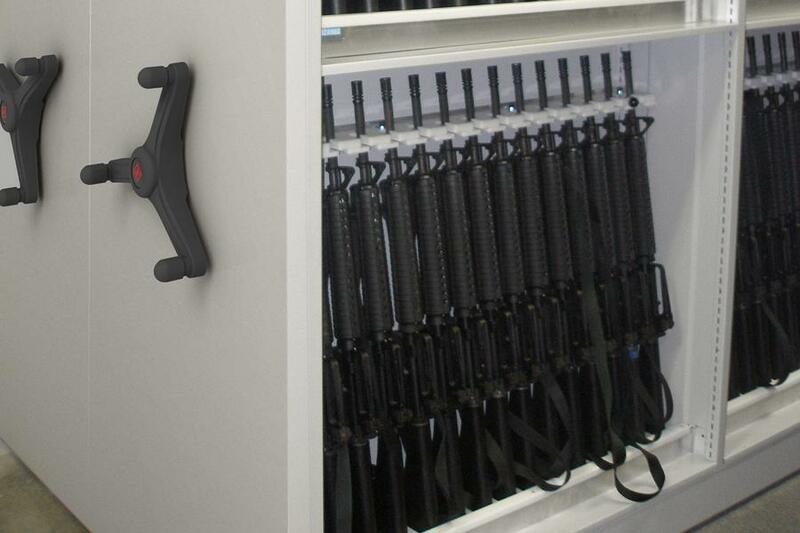 To assist with your array of equipment such as sniper rifles, machine guns and shotguns, this space-saving feature, maximizing space both vertically and horizontally, is priceless. 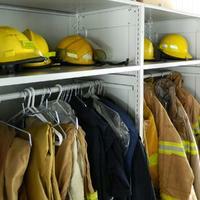 Plus, by outfitting those systems with doors, drawers, locks and additional add-ons, those services and departments gain organized and secure storage. 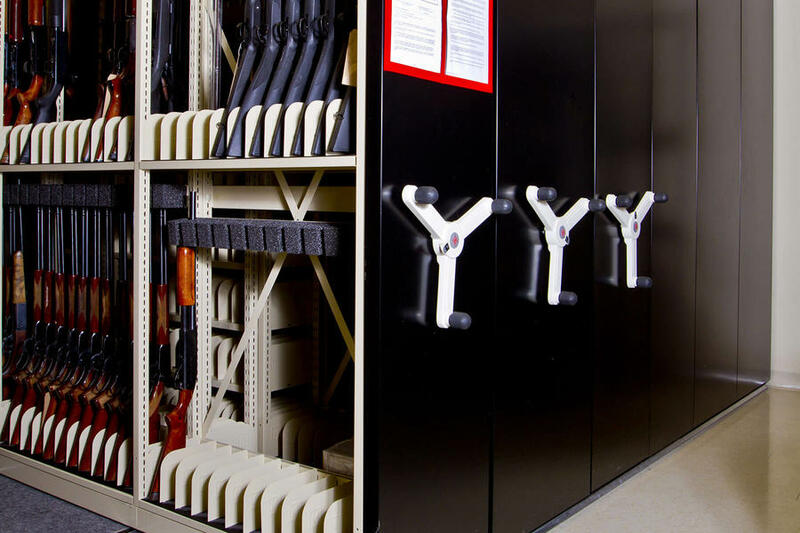 With their interchangeable parts, the racks are completely user configurable and can be changed in accordance with your storage needs. 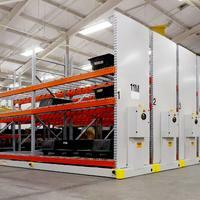 Our solutions are custom designed to fit your unique space and storage requirements. 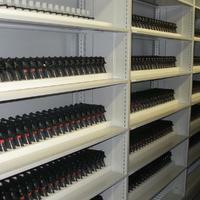 Contact us for design, layout and estimation services.